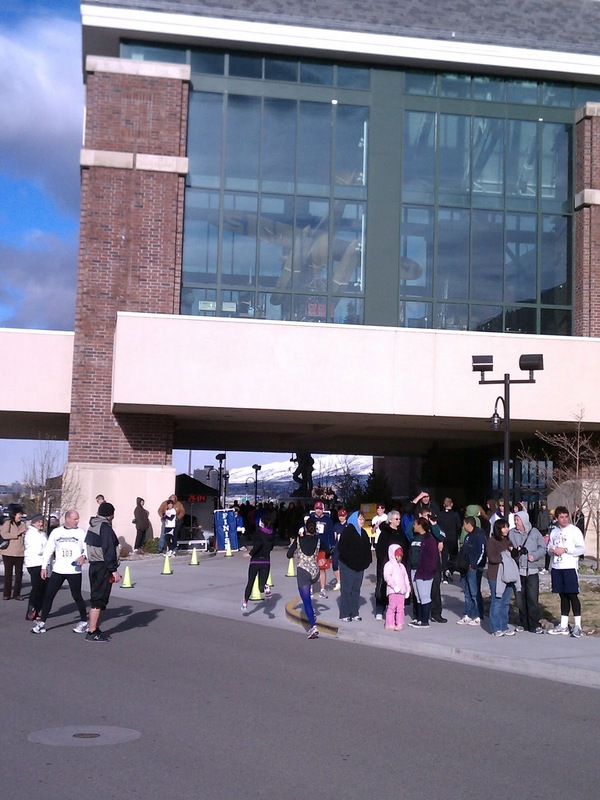 The weather was iffy again last weekend, but it ended up being just a bit windy (and not rainy and snowy) for the Scheels FANatic 5K. 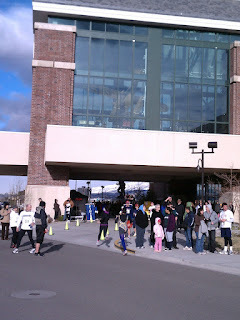 I got to the Scheels parking lot with just enough time to pick up my bib, get dressed for the weather, take a lap around the mall and do a few strides in the parking lot before people started lining up. After the countdown, we all took off for a little loop around the parking lot before heading out around Sparks Marina. It was a little tight on the corners for the first quarter mile or so, but spread out by the time we got onto the bike path. As we wound around the lake, I kept a pretty good eye on the pace on my Garmin - I'd gone out a little fast, and was trying to keep it from creeping up above the 6:20s. The first two miles averaged about 6:22, and as I came around the back side of the mall to loop back to the start area, I checked to see that I was holding there. 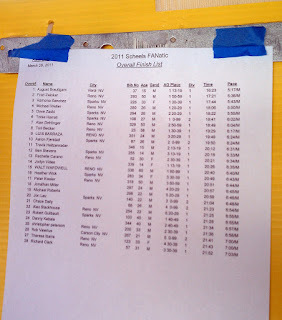 The last bit was into the wind, but I made it through the finish line in 19:30 - which I'm going to call a PR. The slight change to this 5K course made it a lot closer to 5K than I've seen it here in the past - my watch registered 3.06 miles, which is about as close as it gets for that short a race. Glad they found an accurate route. Since this was a PR, I rewarded myself with a PR beer. 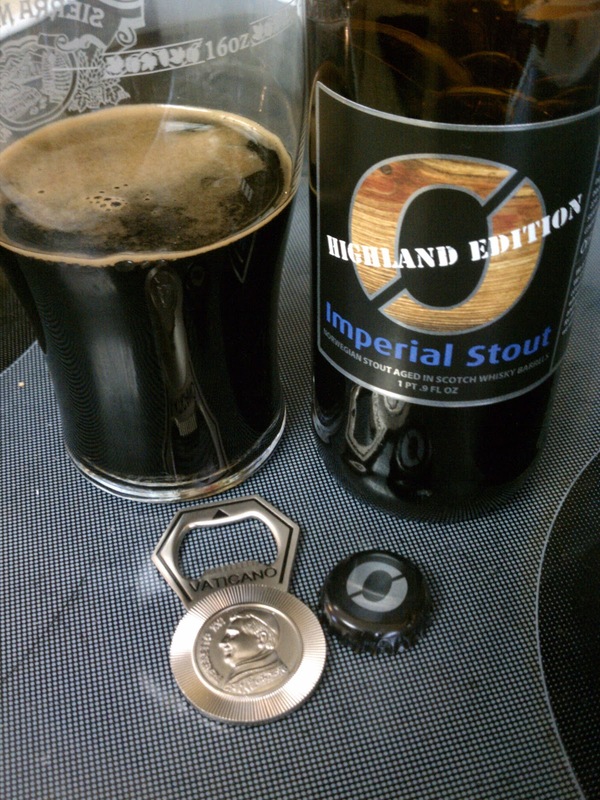 My first visit to Craft's amazing beer cooler sent me home with a Nøgne Ø Highland Edition Imperial Stout. It was enjoyed. And opened with a popener, courtesy of Xenia. Yee haw on a PR!! Nice job, Turi, that is super speedy! I'm just going to start calling you PR, ok? Nice job on the PR and glad to hear that the course is a little bit closer to accurate these days!